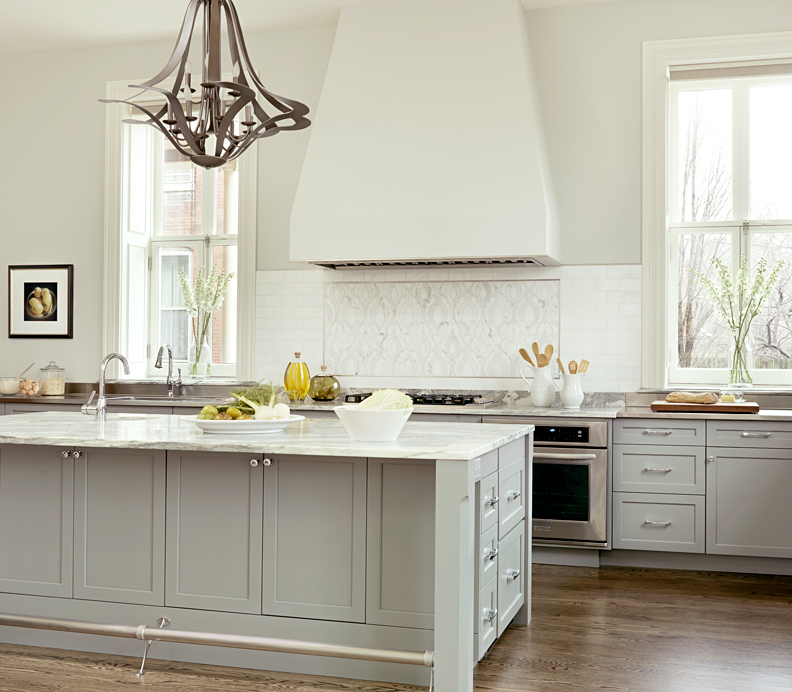 A move to St. Louis from Paris inspired this European-style kitchen. Carol Wall, of Mitchell Wall Architecture and Design, was faced with the task of taking an existing kitchen in this historic Lafayette Square home and expanding it within the confines of the home while lightening and brightening the space. Separate rooms were combined into open, flowing spaces by removing interior walls and restructuring the home. A back staircase now opens into the kitchen revealing charming ornamentation of beadboard and decorative spindles. In gutting the kitchen, a functional island was added to allow for an abundance of prep areas for the family. With three sinks, the space is now functional for the family who dines on organic, fresh foods. The light and airy kitchen still preserve the historic character of the Lafayette Square home. This kitchen truly captures the essence of the home and the character of Lafayette Square. 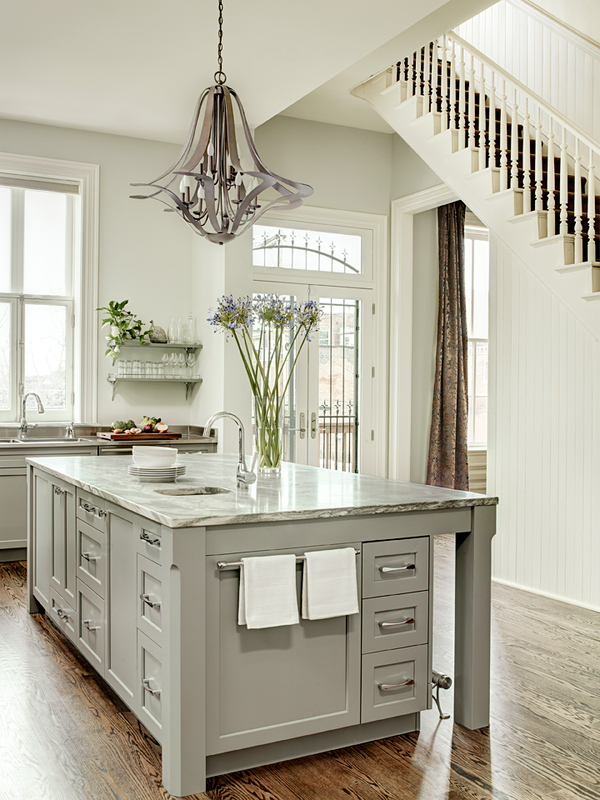 The gray is just wonderful, and it is bold and gutsy to go without wall cabinets. The designer really took advantage of the windows and didn’t clutter the space with upper cabinets. The result is a very balanced European kitchen.